S.M.A.A.R.T.Mom and Dustin in the Local News Section ! For years I’ve been trying to help my son who has autism learn to handle going out into public places. To make it more fun and cool I started taking him to the Zoo and Mc Donalds (inside) with BOTH of us dressed up in our Halloween costumes. My older kids now adults think I’m silly because I dress up too, I respond, “What kind of a mom wouldn’t dress up with their son, even if he is 18 yrs old now 🙂 Life is too short not to have some fun. What a Wonderful Time Today at my January 2015′ Mommy & ME Time-Out! Thank You Lindsay for once again tagging along with us 🙂 We just adore your company Sweetie! It was so nice to see my absolute wonderful friend Kandi, it’s been too long. What a great surprise to see you today Rosemarie! Such a pleasure 🙂 Michelle, hats off to you sweetie! You have your hands full; you call me anytime my friend. Thank You for staying as long as you did. I know it wasn’t easy 🙂Then of course Kristina, so glad I met you, I look forward to seeing you again hopefully real soon. I know some of you traveled a distance to join me and I just want to say I sooooo Appreciate it ! Thank YOU!! 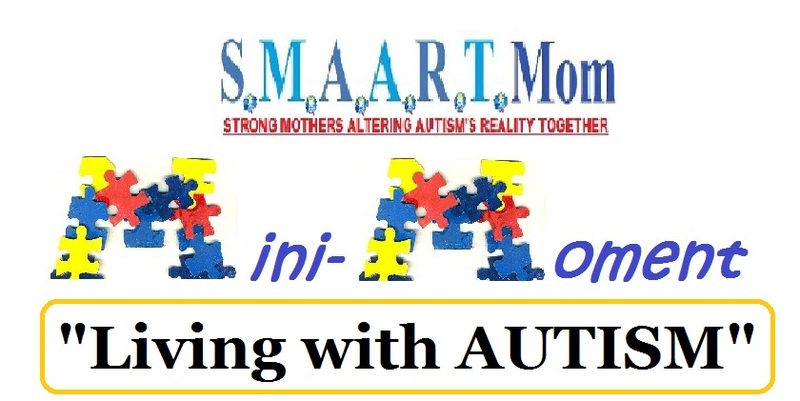 I really love to talk to other moms like me who are walking in my shoes of autism 🙂 It is extremely therapeutic for me personally. Here’s a Great Big Fuzzy Hug to Everyone of YOU!!! Oh and FYI: The Pizza at The Mellow Mushroom was delicious! As well as the waitresses who were very hospitable and catered to us as if we were someone special 🙂 OH Yeah! That’s because WE All Are Special ! (LOL) BIG HUGS S.M.A.A.R.T.Moms! See you next month!! Had a great visit with our family, but I think Dustin was getting a little too excited the day he knew we were going home 🙂 (LOL) I caught him singing and dancing just in time too……Love you Sweetie ! This month once again I want to share with you a very special moment with all of you. I hope to inspire and encourage you to at least TRY and take your loved one with autism out in to “Public” places. As a mom myself who has a son who is almost 18 yrs. old with autism , I know first hand how difficult this can be. I know that it is much easier to “Isolate” ourselves from going in to public places because of the misguided people, the stares, and especially the fear of a melt-down occurring. It doesn’t have to be this way. Moms & Dads I want to help you live your life again. There isn’t an Anchor attached to Autism. There are alternatives. 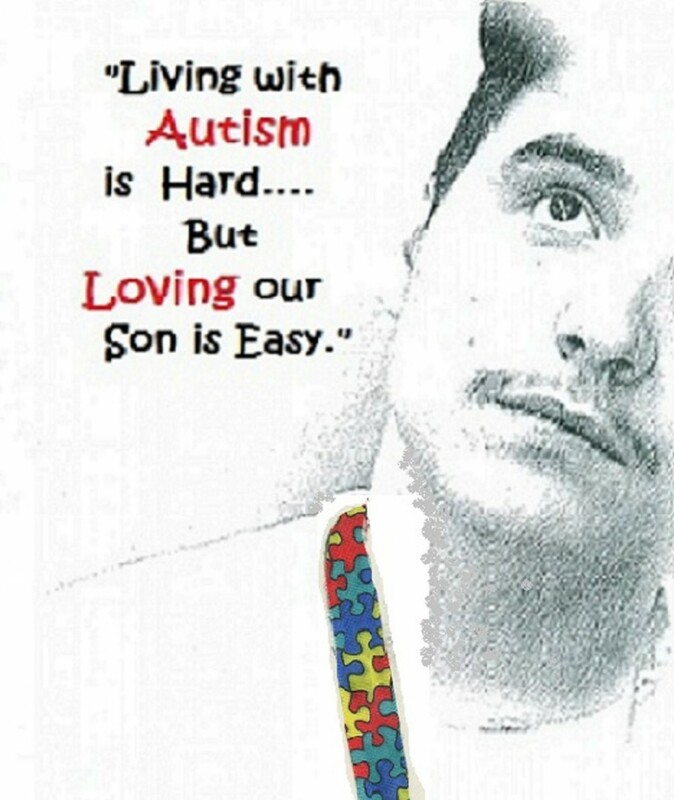 I hope that with the videos I create solely for those families walking in my shoes….I hope it will help you in some way, to lift you up, to give you a positive outlook on autism, or at the very least bring a Smile to your day.